HÀ NỘI — Vietnamese startup travel company Ecohost has won second prize at the 2018 Mekong Innovative Startups in Tourism (MIST) challenge. 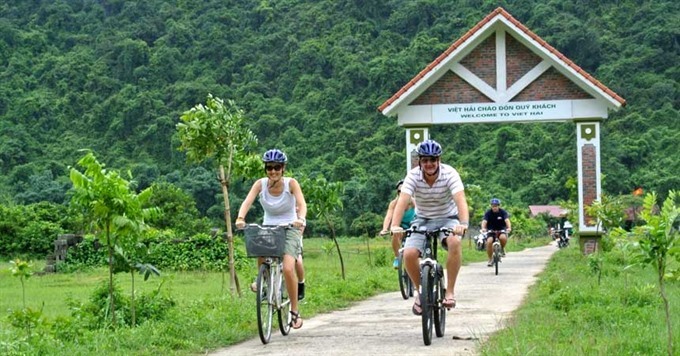 Ecohost enables quality tourism experiences in the Vietnamese countryside, working village-by-village to develop tours and activities while improving the capacity of rural homestays to serve international guests. Ecohost received an innovation grant of US$5,000. “The MIST innovation grant will enable us to deliver skills training courses across three villages and upgrade homestays for 15 families,” said Ecohost CEO Bùi Thị Nhàn. Ecohost came second to BambooLao from Luang Prabang in Laos. BambooLao is on a mission to eliminate single-use plastics from hotels and resorts across Asia. They have produced more than 80,000 reusable bamboo straws and other bamboo utensils, which are used by Aman Group, Pullman, Rosewood Group and Sofitel properties as well as EXO Travel tours. The Laos start-up estimates their environmentally-friendly products have displaced the use of 5 million single-use plastic straws. Supported by the Australian Government and the Asian Development Bank, MIST supports high-growth-potential emerging market startups in travel and hospitality – especially startups that generate positive impacts for communities, culture and the environment.